Are you planning on getting married in Cheshire East within the next three years? Would you like an award-winning wedding ceremony absolutely free? 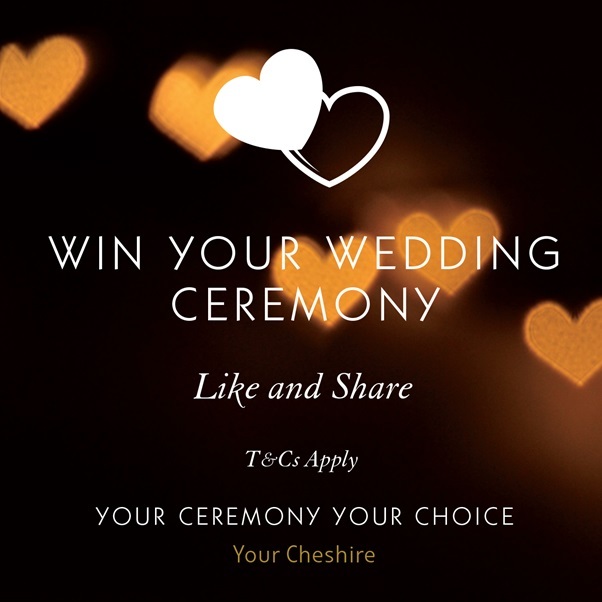 To be in with a chance to win your ceremony simply go to our Facebook page and like and share our post. The winner will be picked at random after our closing date on Sunday 31st March 2019. Click here for terms and conditions.